Sony has dressed up its latest supermodel laptop and when it comes to the catwalk of consumer electronics, there are no moral complications in supporting the ultra-skinny. 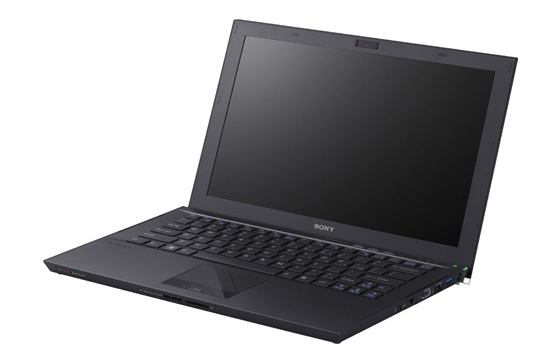 The Sony Vaio Z series follows with this tradition of slimming down, weighing in at less than 1.2kg, with a thickness of 17mm. The 13.1in anti-reflective display throws up a resolution of 1600 x 900 with an onboard Intel HD graphics core built into the CPU. Behind the wheel is 8GB DDR 3 of memory and a 2.7GHz Core i7 processor, which'll increase to 3.4GHz with Intel's Turbo Boost tech. There's also 256GB of SSD storage. Then there's a 3D enabled HDMI output, a USB 3.0 port , as well as a MacBook-style 'button-less' touchpad with gesture support. 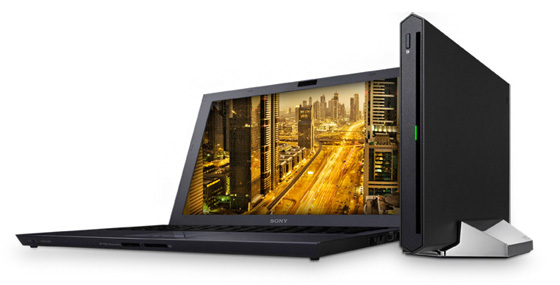 The Vaio Z series also features the 'sheet battery' currently found in the Vaio S series. This is effectively a second charge, attaching to the base without needing to power down and boosting life up to 14 hours. Sony is also pushing the Power Media Dock, an expansion device that connects to the Vaio through an optical cable. It brings with it the ability to manage four displays, through various additional HDMI and VGA outputs and dedicated AMD Radeon HD 6650M graphics, as well as an optical drive of choice.